I, Charley Morton, time traveler and science geek, have set out to record my interview with the great theoretical physicist; as part of my "Superheroes of History" project. Charley Morton: You accomplished SOOO much in your lifetime. What drove that? Albert Einstein: Scientists believe that every occurrence, including the affairs of human beings, is due to the laws of nature. [...] However, we must concede that our actual knowledge of these forces is imperfect, so that in the end the belief in the existence of a final, ultimate spirit rests on a kind of faith. Such belief remains widespread even with the current achievements in science. Charley Morton: Maestro Leonardo said something similar: "Nature is the source of all true knowledge. She has no effect without cause nor invention without necessity." Albert Einstein: Advanced thinker for his time, da Vinci. Would we had met: I could have learned much from him. Charley Morton: So it was a thirst for knowledge that drove your work? Albert Einstein: I want to know how God created the world. I want to know His thoughts. Charley Morton: Did you work with any women scientists? Albert Einstein: In the judgment of the most competent living mathematicians, Fräulein [Emmy] Noether was the most significant creative mathematical genius thus far produced since the higher education of women began. She was also a brilliant physicist, unrecognized in her time merely for the fact of being a woman. Charley Morton: Wow. I might have to find a way to interview her! Is there anything you wished you could have done? Is there anything you might have done differently? Albert Einstein: Time traveled to the future! You have used many of the principles I discovered as the groundwork for your time machine. But there is so much evidence for quantum mechanics in the 21st century that has now been confirmed that I did not live to see—the faster-than-light particle, the Higgs Boson. A particle that can flow backwards in time, the neutrino. My one regret: not finding the Unified Theory—a principle that must exist as simply and elegantly as my Special Theory of Relativity (Charley’s note: famously, E=mc2)—but this one would tie all of the physical world together at both the atomic and subatomic levels. I would stake my reputation on this, but the science never proved out in my lifetime. I understand there are those still searching. I am betting on the future to find it. Maybe that will even be you, dear girl! Charley Morton: Wow. A big challenge. Like in the Miss America contest, where the women are all asked what they hope their biggest accomplishment will be, and she says, "World peace." These things seem too big to tackle. How would someone even think about that with all the anger, violence and scary threats to our world today? Charley Morton: For teens like me, what would be your legacy? Albert Einstein: Try something. Fail. Try again. Repeat. "A person who never made a mistake never tried anything new." Bodanis, David. E=mc2 . New York: Berkley Group, 2000. Print. Einstein Archives Online. Einstein Archives Online. Web. 4 Jan. 2016. Einstein's Big Idea. PBS. PBS. Web. 4 Jan. 2016. Lightman, Alan P. Einstein's Dreams. New York: Pantheon, 1993. Print. On a Beam of Light: The Story of Albert Einstein, Illustrated by the Great Vladimir Radunsky. Brain Pickings. 30 Dec. 2013. Web. 4 Jan. 2016. Search. Digital Einstein Papers Home. Web. 4 Jan. 2016. Professor Einstein is arguably one of the greatest scientists who ever lived. What was the secret to his problem-solving prowess? 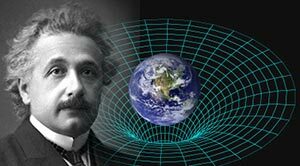 Einstein predicted gravitational waves 100 years ago. Here’s what it took to prove him right. "I live my daydreams in music. I see my life in terms of music...I get most joy in life out of music." Einstein said. How did his music inspire his discoveries?